Seriously what can't this kid do? He's conquered the music industry, won the hearts of girls everywhere, and has his own book, "Justin Bieber: First Step 2 Forever: My Story" (Out in stores now). At 16 years-old what's there left to do? The answer- get your own nail polish of course. When I first heard Justin had his own nail polish I thought it was the craziest idea ever and it had to be a lie. 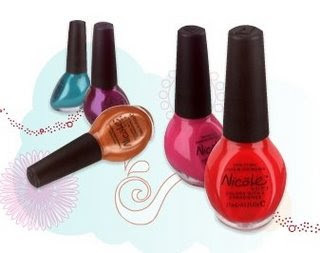 The teen sensation has really teamed up with Nicole by OPI to create his own line of nail polish. The colors will be named after his hit songs like, "Baby" and "One Less Lonely Girl" to name a few. You'll be able to test the colors in December when the collection hits Walmart stores across the country. It's a pretty smart decision on behalf of the Beiber team when it comes to business. He's adored by millions of girls across the country who will of course purchase the nail polish. Can't wait to see if the colors are as big of a hit as his songs.